Hello ... Hello ... my old friends ... It's great to see you once again! ELO Beatles Forever [ELOBF] featured artist The Trembling Wilburys have today [Sunday 1st December] released their second music video "Not Alone Anymore" to reproduce the only song by The Traveling Wilburys that featured the beloved Roy Orbison on lead vocals. The bands new cover of this classic song [see above] is not only a credit to this talented London based band but also a superb showcase of the eerily accurate vocals of Dave Collison whilst commemorating the 25th anniversary of the tragic passing of The Big O back on Tuesday 6th December 1988. 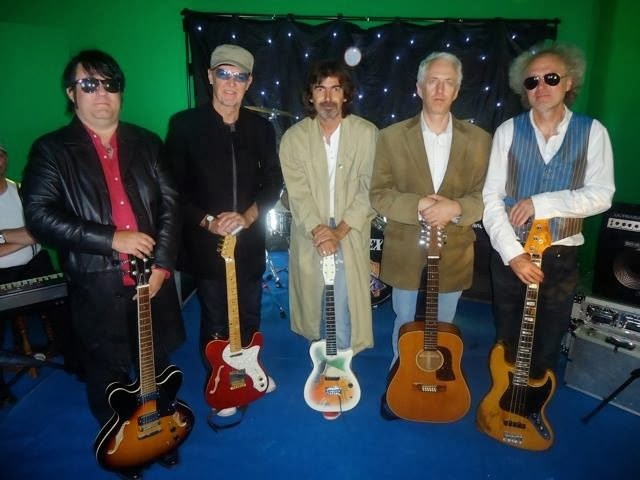 ELO Beatles Forever [ELOBF] recommends The Trembling Wilburys to those enlightened folks who enjoy the music of ELO, Jeff Lynne, Roy Wood, The Traveling Wilburys, The Move, The Idle Race, 'Brum Beat', The Beatles and related artistes.